AGTER - International Conference of Peasants and Farmers: Stop land grabbing! 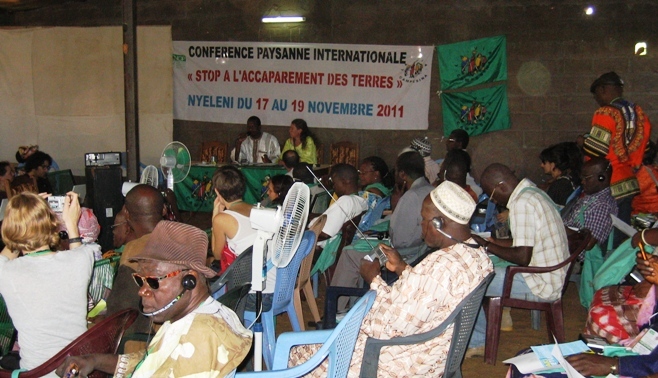 The CNOP (National Coordination of Peasant Organizations of Mali) and the international peasant movement Via Campesina organized in Sélingué (Mali) from 17 to 19 November 2011, the first international conference to strengthen peasant struggle against land grabbing in Africa and other parts of the world. The conference brought together 250 participants from 40 countries, mostly peasants from Africa and other continents, but also NGOs, associations and Universities engaged in resistance to the offensive of unprecedented magnitude of large firms, hedge funds, etc. against the ability of people to feed themselves. AGTER was invited to take part in the Conference. We are pleased to have contributed to the reflections of participants and applaud the initiative to give voice to farmers. 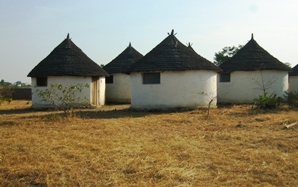 We are convinced that only an increasing mobilization of civil society worldwide and over time can succeed in stopping the process of appropriation by a minority of common resources and land, which constitutes a threat to humanity as a whole. The report and conclusions of the Conference can be downloaded from this page.